I normally don’t use the NIV translation, but it more accurately translates Yeshua’s (Jesus’) last word as “better” rather than “good” or “fine”. Old wineskins = disciples who can’t embrace new teaching. He also provided a link to an article written by D. Thomas Lancaster called New Wine and Old Wineskins: The Parable of Luke 5:36-39 Re-examined. According to Lancaster, the “wineskin” parable is typically interpreted by the Church as old wine/wineskin being the old, outmoded Law, and new wine/wineskin being the new teaching of salvation by the grace of Christ. Just as the new wine would burst the old skins and be spilled, so too the New Covenant Gospel of the Church Kingdom would be wasted if it was poured into the Old Covenant, Mosaic, legalistic religion of Judaism. In almost unanimous consent interpreters and commentators have agreed that the old wine, old wineskins and the old coat are all symbols of Judaism and Law whereas the new wine and the new coat are symbols of Christianity and Grace. The problem, and maybe you spotted it, comes in with the last sentence: “The old is better.” If the Old is the Law and Jesus was teaching that the New, that is grace replacing the Law, is better, how can he possibly say that the old is better? That is, unless the traditional Christian interpretation has problems. The answer lies in interpreting Yeshua’s words through the lens of other, similar Rabbinic teachings of that era rather than filtering them through modern Christian doctrine. I won’t go into all the details. I’ve provided the link to Lancaster’s original article. It’s not long and you can read it for yourself. I want to point out something else, something that’s directly related to my experience at church last Sunday. All theological systems are based on premises that cannot be proved, but must be accepted on faith. 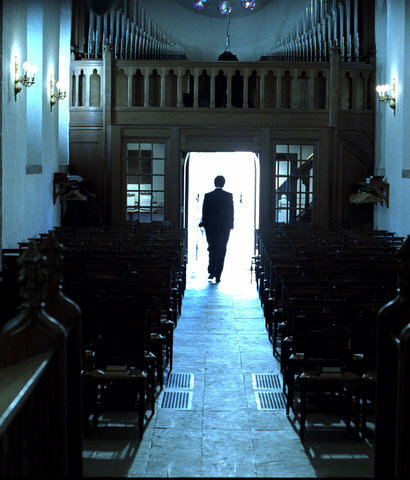 The premises we choose will determine the shape of our theology. If Israel is not present in our premises, Israel will not be present in our fully formed theological system. Beyond what I can read on the screen, I have no idea what Jacob is teaching, nor will I until FFOZ publishes his presentation in a text or audio format. However, I’d like to take his list and add a little something to it. 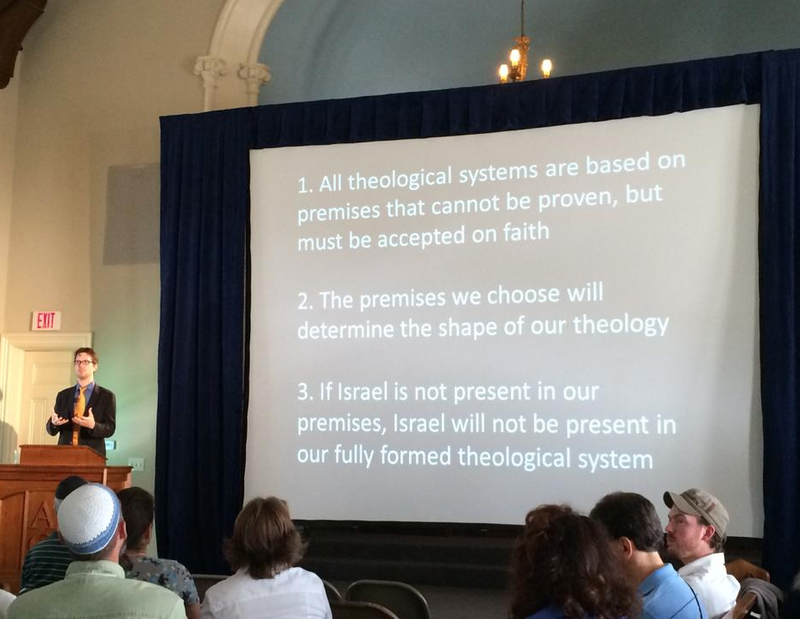 Especially relative to point three, I’d like to say that it is how Israel is presented in our premises, assuming it’s present at all, that will shape our theological system. Many churches, including the one I attend, believe that Israel and the Jewish people have eschatological significance, that is, they have an existence and purpose in the end times. On the other hand, it is “the Church” as a unique and even supernatural entity that has primacy and is ultimately ascendant (as Israel is presumed to be based on the Hebrew Scriptures and New Covenant language contained therein). So Israel can be present in our premises but cast in a role that renders it secondary to the Church and ultimately, totally subjugated by said-Church (which includes Jews who have converted to Christianity). No one takes a lesson meant for a new student and tries to teach it to an old (already educated) student. If he does, he will fail to teach the new student, and the lesson meant for the new student will be rejected by the old student. I’m not sure what to do with this. People, once educated in a particular system, rarely step outside that system or accept new information that apparently contradicts that system, even if the new interpretation objectively makes more sense and is more consistent with the source document (in this case, the Bible) than their current system. No one likes change. I know I don’t. I’m a real creature of habit. I love my routine. It bugs me when my schedule is thrown off, even a little. On the other hand, I love learning new things. And over time, I’ve learned many new things and have slowly allowed my perspective on theology and doctrine to change as new information became available and, after I thoroughly assessed it, determined that this “new wine” did indeed belong in my “old wineskin” (go figure). I guess to a limited degree, this old leopard can take on a few new spots. But that means certain things relative to being at church and being in Sunday school. It means that I was right (or rather, my wife was) in saying that I have nothing to offer anyone at church. This assumes that everyone is there at church because they want to be there and that they agree with everything (or most everything) being taught. Even if there are minor disagreements with particular points, there is still more agreement between all the people within that system than there would be with just about anything I had to say from my “alien” viewpoint. So, for them, “the old is better.” Who wants the new wine I’ve tried to peddle in their midst? I was right to keep quiet in Sunday school, even when I heard Jewish people and Israel being momentarily “dissed”. On the other hand (like Tevye, I find there’s almost always an “other hand”), people have periodically approached me and said that they liked some point I made or found something I said interesting or enlightening. I assume that everyone in Sunday school and in church all universally agree with each other and unless they say otherwise, there’s no way to know for sure. I can speak up from time to time and hope I get lucky (or perhaps hope that the Holy Spirit will render someone’s heart a little more open to my opinions), or keep quiet, respecting the majority (including the church leadership since several members of the Board of Elders go to the same class) and withhold anything that might be elucidating to the possible minority who could be open to hearing it. On that day, when two, poorly educated fishermen stood before the Sanhedrin, they demonstrated the full caliber of their education under Yeshua and vindicated his choice of disciples. New garments, new wineskins and new students. Lancaster’s interpretation of Yeshua’s parable has limits. It assumes that only new (uneducated) students would accept the Master’s teachings, but we know he attracted the attention of “old wineskins” such as Nicodemus (John 3:1-21) and Joseph of Arimathea (John 19:38). Who knows how many other “old” and well-educated disciples Yeshua attracted, either during his “earthly ministry” or later, during the time of the apostles? I think an old dog can learn new tricks, it’s just not as easy as when you were (I was) a new dog. Everyone listening to Jacob Fronczak and the other presenters at the Shavuot conference wants to be there. They bought tickets to attend the event, arranged to travel there, arranged for lodgings, and so on. They went through no small effort to make their way to Hudson and to find themselves sitting in the pews of this beautiful synagogue setting. So each and every person there is open to what is being taught. And like I said, although it’s not quite the same effort to attend my local church, all of the people present are there willingly, and they all are open to learning what is being taught, even if they don’t agree one-hundred percent of the time. But they didn’t sign up to listen to me spout off about new wine. That’s not my job and no one asked me to take it onboard. Maybe there are some old wineskins that might want a little new wine, but I can hardly tell who they are and what they might be open to. On the other hand, my blog is open to the world or at least anyone with Internet access. I can only assume that each person who visits, if they stay long enough to read, is doing so willingly, even if they disagree with some of the things I say. My “wine” is welcome for the most part within their “wineskins.” At least I don’t have worry that there’ll be some outcry to ban me from the web. The Internet isn’t “community” though sometimes we fall into the illusion that it is. Facebook, twitter, and blogging aside, you don’t really form a community in virtual reality. I know the difference between Facebook “friends” and face-to-face friends. But sometimes the Internet is all you’ve got, especially if “face-to-face” are old wineskins and all you’ve got to offer is new wine. But my new wine has the flavor of the centrality of Israel, the primacy of the Jewish people in past and future prophesy, with the capstone being Messiah, Son of David, Son of God. My wine doesn’t spill all over the pages of the Torah, blotting out major sections, shuffling about the letters and words, and making them appear as if God said one thing but really meant another. In a very real way, my “new wine” is actually old, really old. In fact, I’m banking that it’s at least as old as what the apostles, and even the Master taught. That means the old really is better, for the old is God who makes a covenant and never breaks it, who embraces Israel and never releases her, who presents the Torah through Moses and never changes a word or a letter as long as Heaven and Earth continue to exist. In my bottle of old wine, Messiah brings a Gospel message that really is good news to the Jewish people and that supports and upholds the dignity and preservation of national Israel. It’s also good news for the Gentiles as long as we realize that salvation comes from the Jews (John 4:22). It’s amazing what a single photograph and a few sentences of text will inspire. A toast to old wine made new again. Love this. Excellent read. Please feel free to share your inspiration at Godinterest. God Bless Your Ministry. Wow. That was fast. I just published this. Thanks. This parable and my own experience seem to cast the Tent of David approach in doubt. Maybe 1 in 1000 might show an interest in a Messianic Jewish interpretive to the point of adopting some form of Torah lifestyle. Better get used to being rejected and ejected. As a friend of mine pointed out to me some months ago, anything that most folks in Christianity don’t understand, they simply chalk it up to belonging to a cult. I don’t think I’ve been relegated to that role quite yet, but If someone *really* engaged me in conversation or read a number of my blog posts, I can see it happening. Tikkun olam, James. In this case, you are trying to repair the breach between the gentile and Jewish believers in Yeshua. Am I correct? I have been accused of trying to be Jewish. My response is since G-d chose the Jewish people for His revelation, maybe I am trying to be godly. I love “Fiddler on the Roof”!!!! Sooo many lessons. May the L-rd’s face shine upon you…. ‘Hag Shavuot Samea’h, James! Thank you for all the early morning reading material and blessings you provide. Praying for you so continue onward and eventually upward! @Cynthia: Tikkun olam one mitzvah at a time. It is said that each of us was made to repair certain things about our world. Maybe I still need to discover where my “calling” is. @Pat: Thanks. Actually, this is an “afternoon” meditation. Thank you for your prayers. I think the pastor and others at the church I went too purposefully didn’t read my stuff, as they wouldn’t want to view me as, “other.” They were much more gracious than others who immediately put someone in a labeled box and then toss the box aside or in the garbage. There are lots of lessons I have learned in evangelicalism that I need to unlearn. Some of the new wine wasn’t so good. 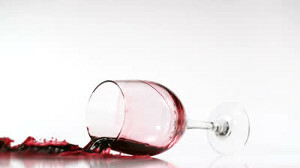 Most new wine isn’t of sufficient quality to age well. Chaya, your comment here and on my previous blog post made me think of the sharp divide in motivations for attending a religious community. In my current understanding, there are three: To be part of a community, to encounter God, and to share your personal perspectives. Admittedly, my primary focus as been on the last one, but I have, sometimes without even intending to, encountered God at church. But even after over a year and a half, I can say that I still don’t have much “community” there. That’s probably my fault, since I don’t really feel like I have a lot in common with most people at church. But my sense of community comes, in large part, to theological and doctrinal similarities and differences. If I conceptualize God, Messiah, Israel, and the Bible in fundamentally different ways than the people around me, how do I feel any sense of kinship and community.